The road traffic accident claim solicitors at Wellers Law can help you make a claim for compensation if you have suffered a serious injury following an incident on the road. We also act for families when a loved one has died or suffered catastrophic injuries. Car drivers and passengers involved in high-speed road traffic accidents may suffer numerous serious injuries. These can be life-changing and, sadly, sometimes may prove fatal. It is not only drivers and passengers who make serious road accident injury claims; many are also made by pedestrians, cyclists and motorcyclists who, because they are outside of the relative protection provided by a car, are extremely vulnerable when using the roads and pavements. Pedestrian accident claims may involve children and, even at low speeds, such accidents can be particularly serious. Cycling accident claims may result from badly maintained roads or contact with road furniture such as tram lines etc, but most commonly occur as a result of collisions with motorised vehicles including vans and lorries, which often have limited vision and blind spots when travelling alongside cyclists on the roads. The injuries sustained in such road traffic accidents are often very serious. Motorcycling accident claims may occur as a result of collisions at high speed, and due to the relative lack of protection enjoyed by riders, their injuries are often numerous and serious. Car occupants involved in high speed collisions may suffer bone breaks and fractures, and are especially vulnerable if they are not wearing a seatbelt. Motorcyclists, cyclists and pedestrians are also particularly prone to broken bones following a road traffic accident. In car accidents, injuries predominantly occur to the ankles, fibula and tibia (shin bones), femur (thigh), hips, pelvis, vertebrae, ribs, sternum (chest), clavicle (collarbone), humerus/radius/ulna (arm bones), wrist, and facial bones/skull. Serious breaks and open wounds, where the skin has been broken (often by the bone), will require immediate emergency treatment and, typically, surgery, immobilisation, and possible rehabilitation to help regain full use of the limb or joint. There may be other life-threatening complications caused by fractures, especially when the broken bone is near to vital organs. Due to the impacts experienced in many road traffic collisions, head and brain injuries can occur. When a car collides with another object, especially at high speed, the head moves with extreme force. When the head stops moving, usually as it impacts against the interior of the car or the road, the brain carries on moving inside the head. As the soft tissue of the brain impacts with the skull, the delicate nerve fibres can be stretched twisted and sometimes torn. This type of impact can cause a range of brain injuries, from concussion and brain haemorrhage to hypoxic brain injury and diffuse axonal injury. Severe head and brain damage may cause catastrophic and life-changing injuries. Some brain injuries may result in disability (loss of power in the arms and/or legs), speech impairment and cognitive changes affecting personality, thinking and memory. Sadly some brain injuries may leave the patient in a persistent vegetative state. Damage to the spine can cause a number of problems and the severity of the symptoms and outcome for the car accident victim will largely depend on the location of the injury along the spine and whether the injury to the spinal cord is “complete” (the cord is severed or the nerve damage is so severe that no electrical impulse can be carried to the parts of the body below the location of the injury). Such an injury is likely to result in complete loss of sensory and motor function below the location of the injury, resulting in paraplegia/tetraplegia. When a body is caught between two moving objects this can result in crush injuries. Pedestrians, cyclists and motorcyclists are particularly prone to crush injuries when involved accidents with cars. When a body is crushed, multiple injuries may occur, such as damage to internal organs, head and brain damage, and spinal damage. Crush injuries may result in crush syndrome; a condition in which the body goes into severe shock and renal failure. It occurs as a result of compression to muscle tissue and neurological disturbances. It can be fatal and must be treated as an emergency. ACCORDION TEXT: The nature of some car accidents means the victim may suffer traumatic amputation of limbs or digits at the scene. Doctors may decide to amputate if a patient has sustained numerous injuries to a limb such as multiple bone breaks, tissue damage and crush injuries. This is inevitably traumatic but is done to protect the patient from further complications. Amputations are life-changing and can be particularly traumatic psychologically, as well as physically. ACCORDION TEXT: Patients recovering from serious car accidents can suffer the effects of severe shock. Physiological or medical shock occurs when the patient’s blood pressure drops following a car accident. If organs and body tissue are starved of oxygen, permanent damage can occur quickly. Medical shock can lead to heart attack, organ failure and even death. Psychological or emotional shock can cause a number of debilitating symptoms which may begin immediately or build up over several days and weeks following a car accident. Acute stress syndrome is suffered by approximately one-fifth of all road accident victims and can be diagnosed as a range of illnesses, including PTSD (post traumatic stress disorder), acute stress disorder, adjustment disorder and specific phobias. Car accident claims made following very serious collisions and accidents involving the above types of injuries are often complex, time-consuming and, ultimately, difficult for claimants and their families alike. Our experienced and dedicated injury lawyers, based in our Bromley offices, work across the South East of England including Kent and Surrey. We are members of the Association of Personal Injury Lawyers (APIL) and are committed to providing a sensitive, yet robust compensation claim service for those involved in serious or fatal road traffic accidents. We offer an initial no-obligation interview so that we can assess your claim and, when appropriate, No Win No Fee service for claimants. 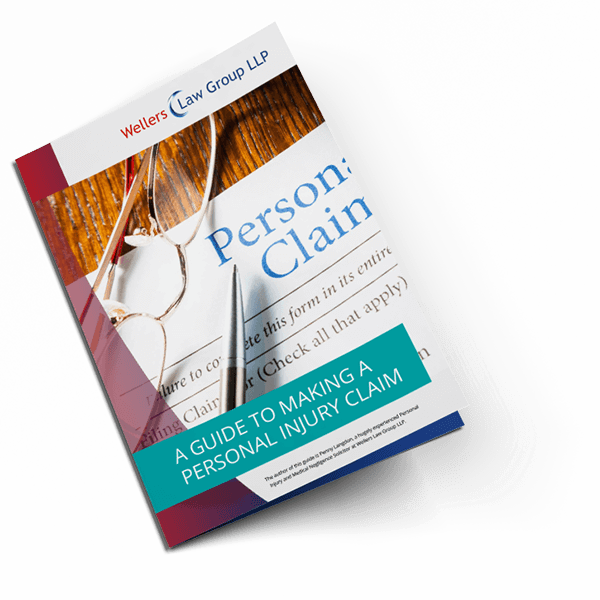 Contact Wellers’ Personal Injury Team today on 0208 290 7958. Alternatively you can email us or fill in our call back form, giving us brief details of your car accident, so that we can contact you to discuss your claim.